The Max Planck Institute for Informatics congratulates a former PhD graduate and current part-time affiliate on a prestigious award. Christoph Bock was awarded the 2017 Overton Prize of the International Society of Computational Biology (ISCB). Once a year, this award is given to a single early-to-mid career scientist, from anywhere in the world, who is recognized as an emerging leader in computational biology and bioinformatics. When, over a decade ago, Christoph Bock decided to enter the emerging field of computational epigenomics, he was one of the first computational biologists to do so. During his PhD research in the lab of Thomas Lengauer at the Max Planck Institute for Informatics (2004-2008), he developed pioneering methods and software for analyzing and interpreting DNA methylation data. As a postdoc in the lab of Alexander Meissner at the Broad Institute (2009-2011), he conducted large-scale epigenome analyses of stem cells and contributed to the Roadmap Epigenomics project. Since 2012, Christoph Bock has been a Principal Investigator at the CeMM Research Center for Molecular Medicine of the Austrian Academy of Sciences and a Visiting Professor at the Medical University of Vienna. His research on epigenetic biomarker development has helped establish the practical value of epigenetics for personalized medicine. He has also been one of the lead computational biologists in the BLUEPRINT epigenome project funded by the EU and in the International Human Epigenome Consortium. Christoph Bock received an ERC Starting Grant in 2015 and a New Frontier Group Award by the Austrian Academy of Sciences in 2013. Ever since his PhD graduation, Christoph Bock has held a part-time affiliation with the Max Planck Institute for Informatics, where he is codirecting a research group on computational epigenetics together with Professor Thomas Lengauer. This research takes place within the Center for Bioinformatics Saar and entails close interdisciplinary collaboration with the epigenetics work group directed by Professor Jörn Walter at Saarland University. 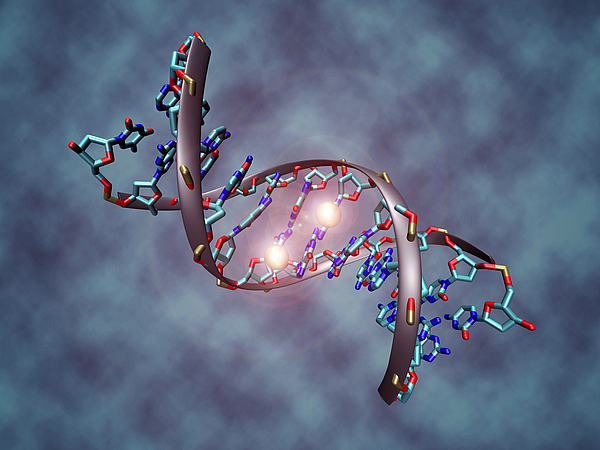 The joint work has brought forth a number of widely used software tools for analyzing epigenetic data, including BiQ Analyzer, EpiExplorer, and RnBeads. The Overton Prize was instituted in 2001 to honor the untimely loss of G. Christian Overton, a leading bioinformatics researcher and a founding member of the ISCB Board of Directors. Over the last 16 years, the prize has been awarded to a group of outstanding computational biologists (https://www.iscb.org/iscb-awards/overton-prize). Christoph Bock is the first German researcher to be honored with this award. The ISCB is the world’s leading professional society for computational biology and bioinformatics. It seeks to communicate the significance of computational biology to the larger scientific community, governmental organizations, and the general public; the society serves its members locally, nationally, and internationally; it provides guidance for scientific policies, publications, meetings, and distributes information through multiple platforms.